My wife and I hand out Snickers and Reeses Peanut Butter Cups almost every year with Peanut M & M's mixed in there depending on our budget. What is the best and worst candy to get on Halloween? 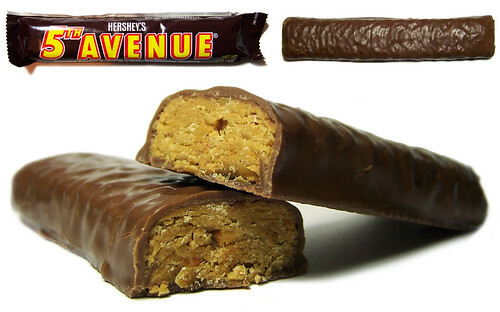 The best was getting full sized candy bars from the rich neighborhood and the worst was when you got a handful of tootsie rolls. Though I did get a huge smile every time I got one of those carmel apple lollipops. You nailed it with the tri-fecta of the best candy. The worst was those caramel things wrapped in black and orange paper back in the day. Also, bottle caps and Necco wafers. Candy corn is the worst candy on planet Earth, but I don't recall ever getting any on Halloween, so that's basically null. Blowpops were always great, caramel apple suckers, MilkyWay/Snickers/Three Musketeers are all legit. The most underrated and under utilized hand out while Trick-or-treating, though, was a soda. No one ever really thinks of it. When I was younger, we had an older woman who would always give us a choice between a large selection of soda at her house. She was always a favorite stop. Think about it, people are walking all around, for a long period of time, and eating a ton of dry sugary treats; they work up a monstrous thirst, but they have nothing to drink. You want to be remembered as a great trick-or-treat stop for the kids in the neighborhood? Hand them a Mt. Dew and watch the sincere thank yous just pour in. Loved Kit Kats and Reese's Cups. Hated Smarties. Hurt my teeth and I always got tons of them. There was always a bunch of terrible candy left in the candy bowl like 2 weeks after halloween, I told my mom she should save it and hand it out the next year but she always threw it out. I guess I was weird, as I actually liked candy corn, and still do. I also liked Bottle Caps, especially the Coke flavored ones. Gobstoppers and other stuff like that I always liked too. Of course chocolate was good, with Butterfinger being my favorite of those. The worst was definitely the orange and black wax paper wrapped peanut butter chews. Unfortunately, you pretty much can't give out homemade stuff like caramel apples anymore, or at least no parent will accept them. So true on 5th avenue. I grab one everytime I see it at a store. That and Caramello. Loved the rootbeer flavored ones. I guess I was weird, as I actually liked candy corn, and still do. I also liked Bottle Caps, especially the Coke flavored ones. I agree with you. Love candy corn.